Making a delicious cocktail doesn’t have to be hard work. 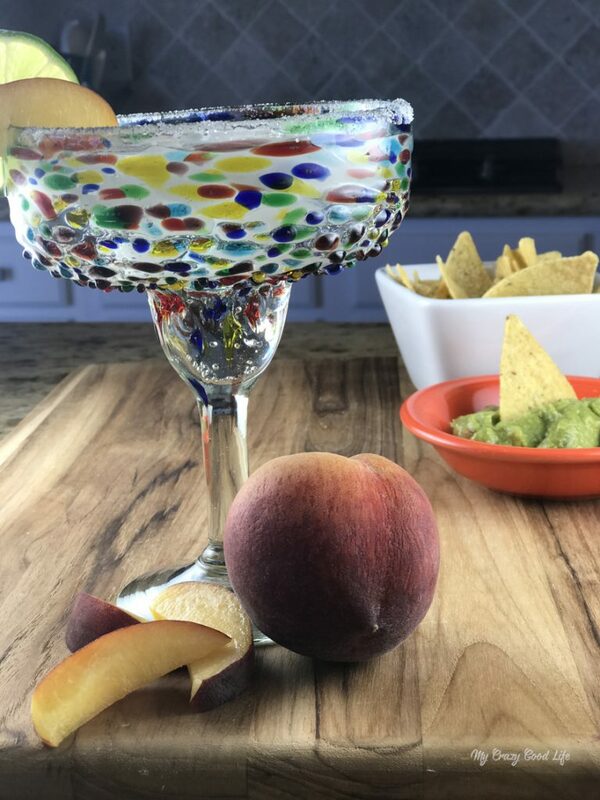 Take this 100 calorie peach margarita for example, it’s quick and easy to make! I love making margaritas that are low on calories but still packed with delicious flavors. 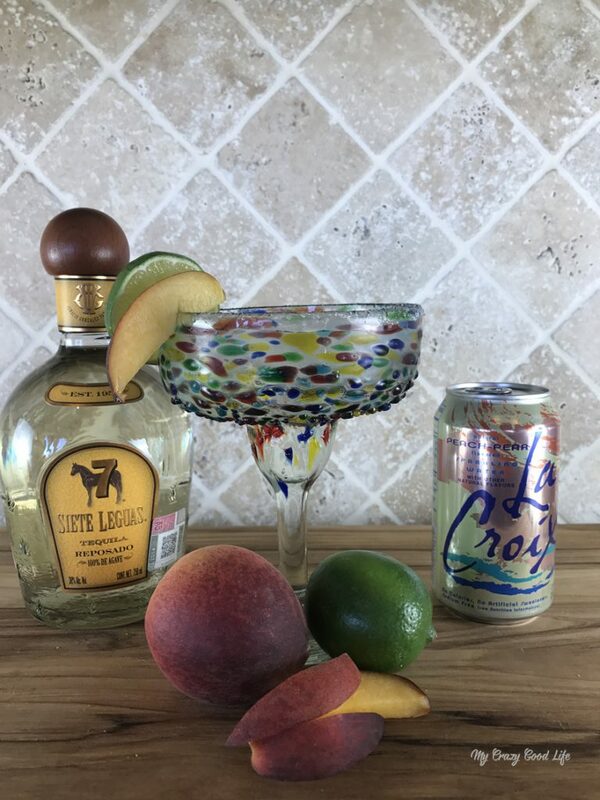 Thanks to the new variety of sparkling water flavors I can make a delicious 100 calorie peach margarita anytime I want! If you always have some tequila and a lime on hand you’ll never be without a delicious margarita recipe! I’ve made them with all different kinds of flavors, you can check them out here. Are you looking for a refreshing cocktail that you can put together in just a few seconds?! 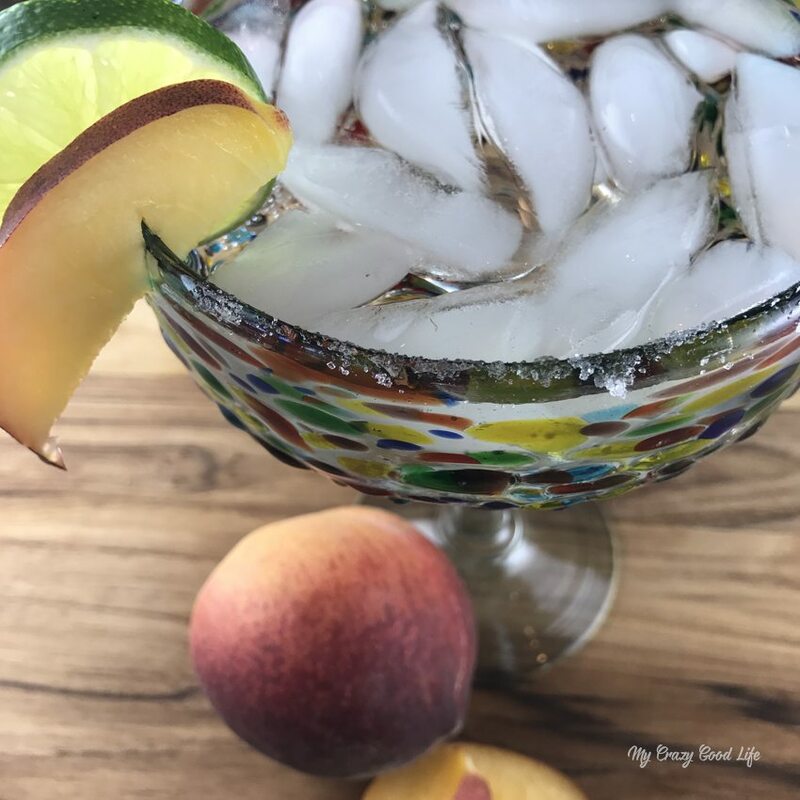 This 100 calorie peach margarita is perfection in a glass. It’s crisp, refreshing, and has just enough bubbles to be invigorating. Quick and easy to make, low on calories and carbs, this is a great cocktail to serve at parties or even during a backyard BBQ. Pour in one Shot of tequila. Squeeze half of a lime and add juice to the cup. Top off the glass with peach sparkling water. Garnish with peaches and limes. Making a delicious cocktail doesn't have to be hard work. 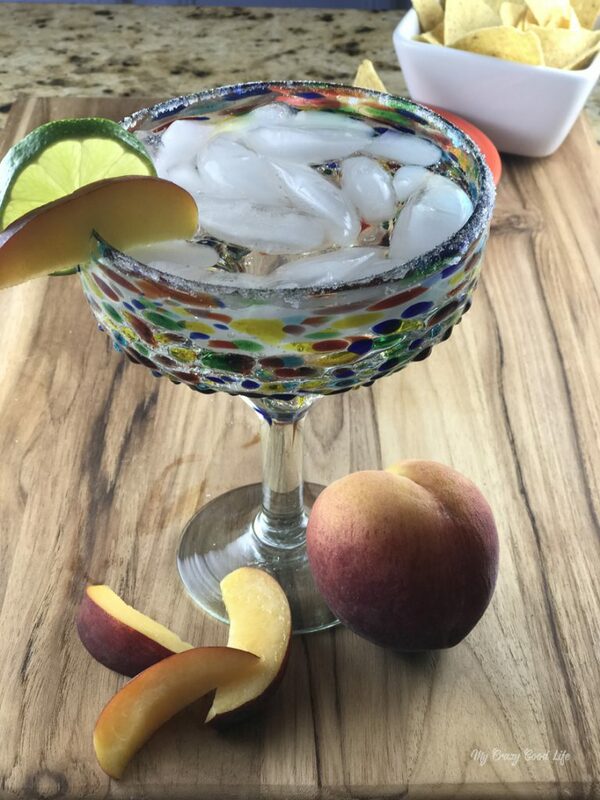 Take this 100 calorie peach margarita for example, it's quick and easy to make! 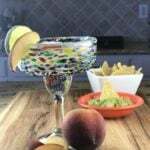 Do you love making low cal margaritas? Check out these other great flavor combos!